The fifth edition of the “ROTTERDAM SPORT FILM – INTERNATIONAL FICTS FESTIVAL” is scheduled in Rotterdam (Netherlands) from 10 to 14 April. The event is organized by Sportvibes& Rotterdam Topsport in collaboration with the Dutch Olympic Committee and FICTS – FédérationInternationaleCinémaTélévisionSportifs in the context of the International Circuit “World FICTS Challenge”. The Lantaren Venster Cinema will host Talk shows and Projections (33 videos from 15 Nations in 6 halls at the same time) including: “The impossible champion” (IMS – Internet Media Services – USA / Argentina) on Argentina’s hard work at the 1986 World Cup; “John McEnroe: in the realm of perfection” (RaphaelleDelauche-France) documentary on the character of John McEnroe during a Roland Garros of the early 80s and in particular the final with Ivan Lendl. Two exhibitions: “Olympic Emotions” in collaboration with Dutch Olympic Committee with memorabilia exhibition, including: the tandem with which Bernard Leene and Daan van Dijk won the first Dutch gold at the Amsterdam OlympicGames 1928, the athlete’s shoes Fanny Blankers-Koen four gold vaults at the London 1948 Olympic Games. “Boxe images” by the Dutch artist Vera Nederlof who will exhibit her photographic works entirely dedicated to the “nobleart”. 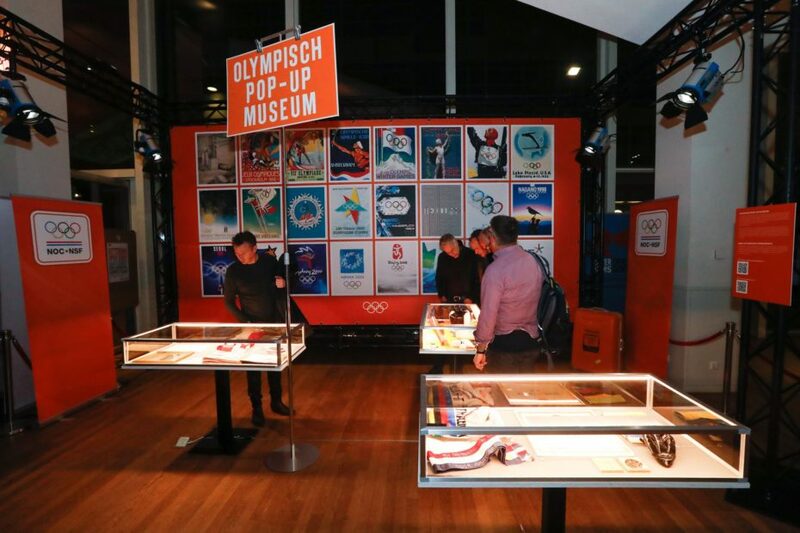 During the Festival, as part of the “Olympic Images E-Motions 2019” Program promoted from FICTS in agreement with the IOC’s Olympic Foundation for Culture and Olympic Heritage, screenings of the best images of the Olympic Games of all time are scheduled. Wilfried de Jong a Dutch “Sport Ambassor”, theater and television program maker, TV presenter, actor and writer. 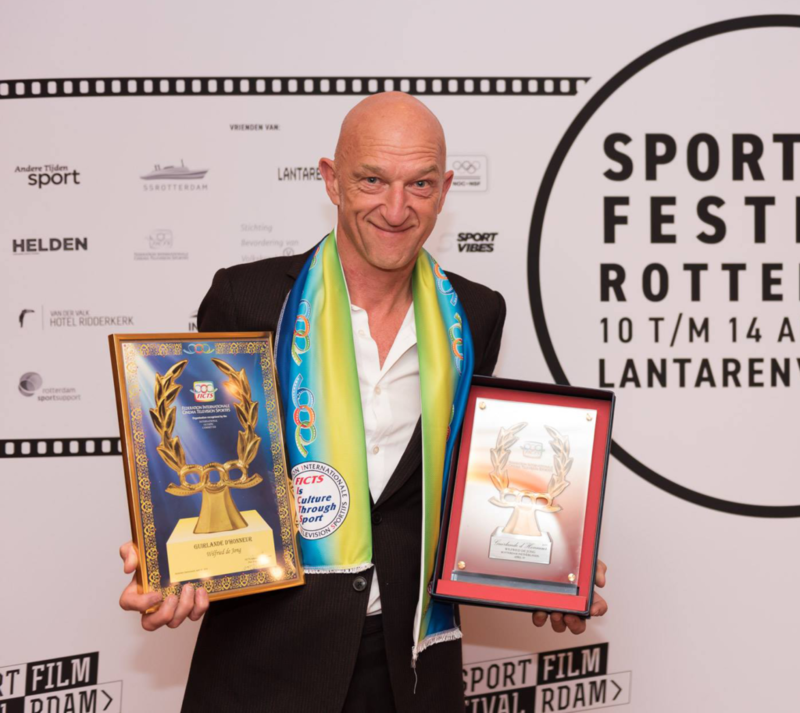 During the “Opening Ceremony” (on Wednesday 10 April) at the LantarenVenster Cinema, the FICTS Secretary General Enzo Cappiello awarded Wilfried de Jong, Dutch “Sport Ambassor”, theater and television program maker, TV presenter, actor and writer.